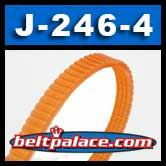 J-246-4 NON BELT for Harbor Freight-Central Machinery Planer-Thicknessers. J-246-4 NON BELT for Harbor Freight-Central Machinery Planer-Thicknessers. Labeled as 97J belt, 4 ribs. Small belt for upper assembly. Made with high grade polyurethane and non-stretching fiberglass cord. Harbor Freight/Central Machinery Model(s) 95838 (Part# 5, Ribbed Belt), 41921 (Part# 344, SMALL BLADE DRIVE BELT). Delta Buffalo Planer QL6014 Belt. 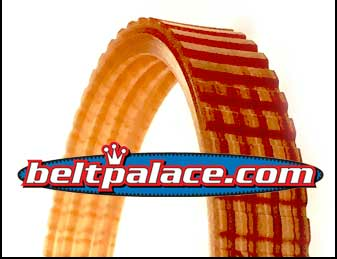 SEE 295J6 belt for "J-750-6 NON BELT" for LARGE motor belt! IN STOCK! Ships same/next business day.